Big business calls for iron fists and bold statements, and an ironclad businessman always looks alive. When a well-dressed man enters the room, he commands attention. The rule has remained steadfast through the ages, from senatorial debates in the Roman Forum to rap battles in downtown Brooklyn: You've got to look the business to succeed in your vocation. At least that's how they did it in the classics. The business elite are varied, yet they all share a certain determination. An impeccable wardrobe matches a meticulous business acumen. So why not learn from the greats? Here are some of the business world’s best businessmen—both real and fictional—to inspire you at your next tailoring appointment. 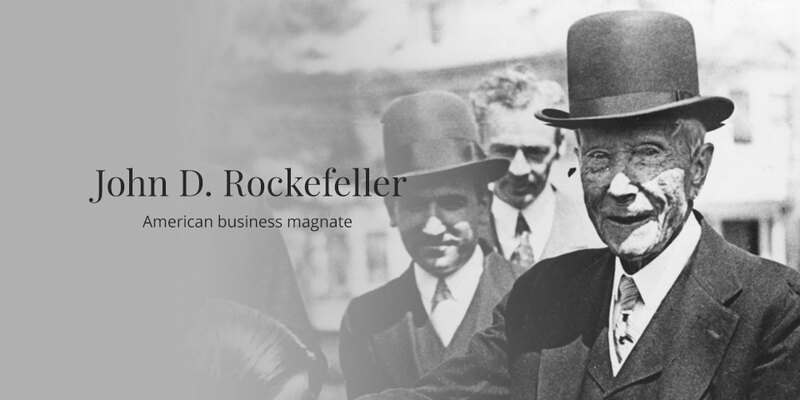 Oil magnate, philanthrophist, and someone whose name is literally emblazoned across New York, JD Rockefeller was the renaissance man of big business. The first self-made billionaire in the United States, he created a legacy of notoriety and envy. Stylishly speaking, his dress might seem conservative by today’s standards, though in reality he was beyond chic and reproach. Initially conforming with tailored peak lapels, waistcoat and all the trimmings, he conveyed confidence to his investors with a full Windsor knot. With changing times, he adapted; single-breasted three-piece suits and a fashionable Half Windsor tie. No wonder we have him to thank for 30 Rock. 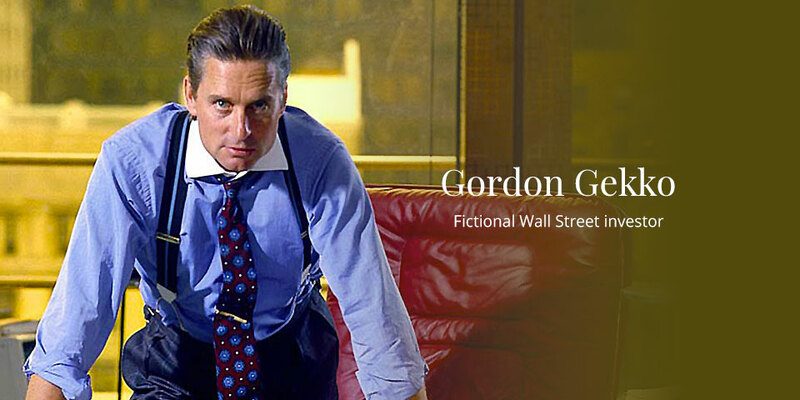 An Oscar Hunt favourite, Gordon Gekko is a god. From the 1987 film, Wall Street, he exemplifies the notion of '80s big business without the excess and poor taste. Big hair, broad braces, Berluti—everything about this man screams power and success. They say everything is old is new again, however, this man was never out of fashion. Today we see businessmen of distinction returning to his look; wearing simple jacquard ties, French cuffs with contrast collars, and trousers with windowpane checks. If you have an imagination and a drive big enough, perhaps you too can be on the cover of Fortune. A seasoned favourite, Lapo embodies the million/billionaire vibe to which we all aspire. Well dressed, well heeled, and heir to the Fiat fortune, he now creates sunglasses and collaborates with Gucci. No stranger to scandal, he wears it as a badge of honour. And why should you apologise when you look this good? 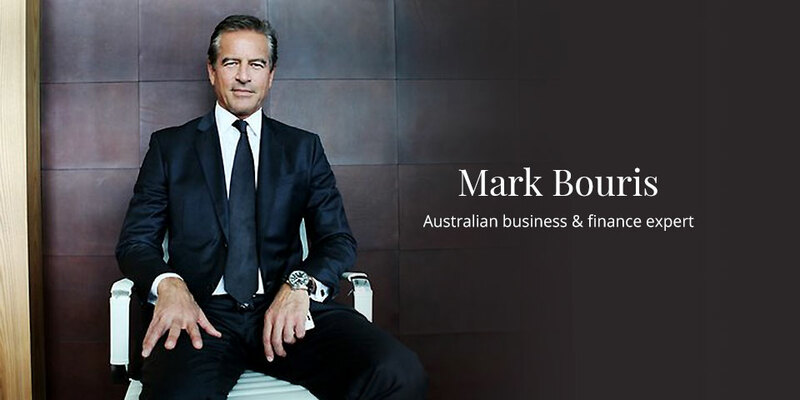 The debonair sorcerer behind Wizard Home Loans, Mark’s CV speaks volumes, yet his wardrobe is simple: Plain white shirts, monochrome suits, and collegiate ties. He seldom strays from his signature: Single-breasted suits with notch lapels and the (optional) tie suggest the Australian sensibility: boardroom to beach. While his style is simple, he’s simplistic in his approach: Big, borrow, or die.